When we think of Chia, we often think back to the eighties when the ever so popular “Chia Pet” was a popular holiday gift. Moistened seeds of chia were spread over a terracotta shaped pet in order to sprout chia, which grew within a few weeks to resemble the animal’s fur. It was a huge success, and to many Americans, this was as much as they knew of the word chia. It wasn’t until recently that Americans set aside those potted turtles and puppies and began ingesting those seeds for our own benefit! The seeds are edible and have a health profile better than virtually any other seed you can eat, including flax! Originally grown in Mexico, the seeds were highly valued for their medicinal purposes as well as their nutritional value. Derived from the desert plant, Salvia Hispanica, chia has been in use for thousands of years dating back to the Aztecs and Mayans as early as 3500 BC. Chia is the Mayan word for “strength” also known as “Indian Running Food” because runners and warriors would consume the seeds for sustenance while running or during battle. As little as one spoonful of chia could sustain them for 24 hours. Chia seeds are packed full of health benefits. They offer a great nutritional benefit for health conscience people who are looking for a powerful punch in a small package. Don’t be fooled by its tiny size. The chia seed- the size of a small pebble- has a serving size of 1 oz, which is 28 grams. In that small serving size, it offers approximately 11 grams of dietary fiber, 4 grams of protein as well as the highest source of omega-3 found in ANY plant source. All of that, plus vitamins, minerals and antioxidants. They are used to help burn fat and increase exercise endurance. With allergy levels on the rise, there is no evidence of an allergic response to chia, even in individuals with peanut and tree-nut allergies. Chia offers essential whole food nutrition that is non-GMO and naturally free of gluten. The seeds are hydrophilic, which means they are able to absorb liquid when soaked. 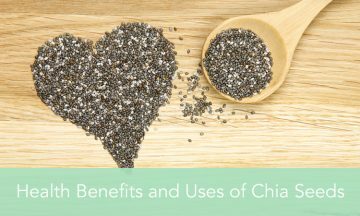 In fact, chia are able to absorb 12 times their weight, which prevents dehydration during exercise and exposure to heat, which is likely why they were initially so prevalent. The seeds have virtually no flavor, can be eaten raw, added to liquid, or even baked into goods and stews. So if you’re tempted by the benefits, the question is now, “How do I incorporate these seeds into my daily life?” Surprisingly enough, it’s fairly easy. Chia seeds can be popped directly into your mouth and swallowed. However, due to the gritty small seed size, you might end up with some unwanted passengers in between your teeth. It’s important to remember that the seeds are very rich in fiber so they should be taken with plenty of water, regardless of how they are consumed. Start with a small dose and allow your body to adjust to the increased fiber intake and adjust accordingly, up to three tablespoons per day. Try some of these easy go to ways to integrate chia into your daily eating habits. Add a teaspoon to your smoothie, granola, yogurt, or juice. Remember that the seeds expand in liquid and take on a gelatinous form, which will create a new and interesting texture. Add a spoonful to your salad. Use in soups and gravies to thicken. If you like sprouts on your sandwich or salad, take it back retro and grow your own. Add chia seeds to a jar. Pour water over the seeds and drain. Leave the seeds in the jar and repeat this process twice daily. Voila, in a few days, you’ll have your own healthy sprouts like you used to grow on your potted pet. Quick Energy Recipe- Add 2 tablespoons of chia seeds to one cup of coconut water. For a fruit variation, add lemon juice or fruit puree. Place ingredients into sealed container and shake every five to ten minutes and it will form a gel that both adults and kids will enjoy. These are just a few of the many was to use chia seeds. If you’re interest has been sparked, head to your local health food store and grab a bag of these tiny gems. How will you incorporate chia into your diet? Let us know your recipes and uses! We’d love to hear from you.